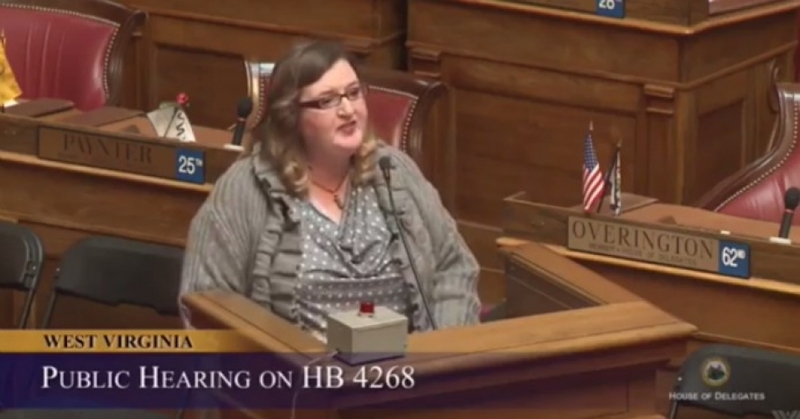 When West Virginia House of Delegates candidate Lissa Lucas decided to take a stand against Big Oil’s pernicious political influence last week by rattling off the names of state lawmakers receiving massive campaign donations from the fossil fuel industry, she was swiftly and forcefully silenced. “People speaking on this bill are paid by the industry. People voting on this bill are paid by the industry. Public gets 1 min. 45 sec. Lucas’ decision to highlight the vast influence oil and gas money has on West Virginia politics came during a hearing last Friday on a bill that, if passed, would allow fossil fuel companies to drill on properties with multiple owners even if all of the owners don’t consent. Shortly after she began rattling off the names of lawmakers supporting the bill and their oil and gas patrons, Lucas was told by Republican John Shott that her remarks constituted “personal comments.” When Lucas refused to stop, she was forcibly removed from the hearing by security. “Why do we need campaign finance reform? THIS. THIS IS WHY,” added West Virginia state Sen. Richard Ojeda. Shott “brought so much more attention to it by having me thrown out than he could have if he had read off the list of donors himself,” Lucas concluded. This assessment appears to have been vindicated by flood of reaction that followed Friday’s hearing—which included a surge in small-dollar donations to Lucas’s campaign. This needs to happen all over America. Expose how much our politicians are for sale for their votes. This entry was posted in Campaign finance, Civil Rights, Climate Change & Environmental Issues, Corporate Personhood, Corruption, Economics, Elections, Energy, Government, Social Justice, Water and tagged Atrocities, Big Oil, Campaign Finance, Capitalism, Civil Rights, Climate Change, Corruption, Democracy, Economics, Elections, Energy, Environment, Equality, Fossil fuels, Fracking, Lissa Lucas, Oil, social justice, Water, West Virginia on February 13, 2018 by ew.